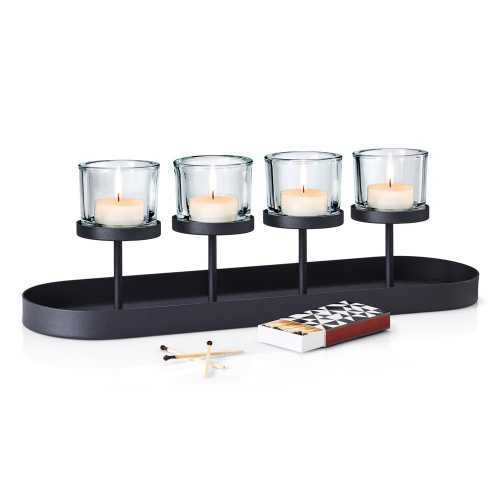 Illuminate kitchen area, dining room table or living room coffee table with this beautiful Nero 65557 Tea-light Holder. 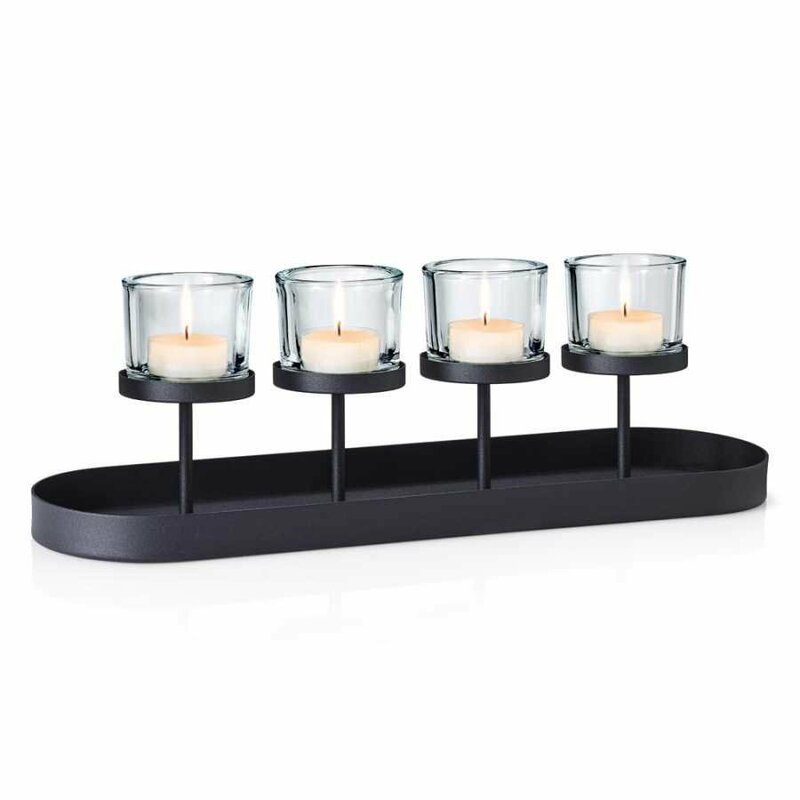 Blomus are a renowned designer home accessory brand that specialise in simple yet incredibly effective and on-trend accessories for the kitchen, home, garden and bathroom. The Nero 65557 Tea-light Holder is part of the Pure Home range by Blomus. The Nero 65557 Tea-light Holder is constructed from powder coated steel and glass, this sleek and stylish tea-light lantern has a traditional yet contemporary feel to it with the glass and steel working together perfectly. The Nero 65557 Tea-light Holder measures at 18cm height by 56cm width and 15.5cm depth with the glass vases measuring at 8cm height and 9cm diameter. To find out more about the other products in the Blomus brand collection and everything else in their range, please visit the Blomus brand page.